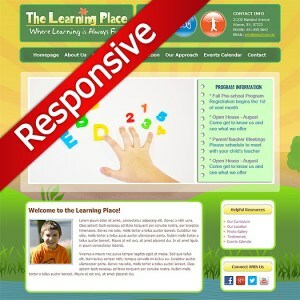 Are you looking for a responsive WordPress school website to build your school’s website with? Listed below is an assortment of premium WordPress school themes designed for preschools, private and public schools, and daycare providers. With eye-catching design appeal, and intuitive layouts these WordPress preschool themes, elementary themes, and daycare themes will prove popular with students and parents alike. Easy to customize, these WordPress school themes offer a simple, affordable way for you to take your academic institution’s presence online. The ideal school website should be both informative and inspiring. These are the goals we have in mind with each of the premium WordPress school themes we set out to create. With visually inspiring, genre-appropriate design schemes and easy to use admin interfaces, these responsive WordPress preschool and daycare website themes let your academic institution make the right impression for both students and teachers. Whether looking for a playful, kid-friendly WordPress preschool theme, or a clean but bold private school layout, you can find what it here at CMSTF. With new school themes running on the robust Genesis theme framework you have options that represent the very best there is to choose from in content management system-based school websites.